Law makers are waking up to some of the old school sales tactics that are unfortunately still common in the real estate business. CBC’s Marketplace ran their story (episode 44 – you can Google it if you haven’t seen it) about Realtors in Toronto working both sides of a transaction for the benefit of themselves (and buyer customers or clients) at the expense of their seller clients. Ontario is now putting new rules in place to limit the practice of multiple representation (what used to be called dual agency). B.C. is going a step further and essentially banning the practice. The rule changes do not prevent the kind of behaviour documented in the Marketplace piece; but, I think they will help by raising public awareness of the problem. Today I don’t mean to cover the new laws or go into the core of the multiple representation issue. I want to talk about one simple practice that happens every day that is dishonest and costs many home sellers thousands of dollars. In some cases it falls under the multiple-representation umbrella. It is caused mainly by people not understanding how real estate representation and transaction management work. What seller can resist those words? 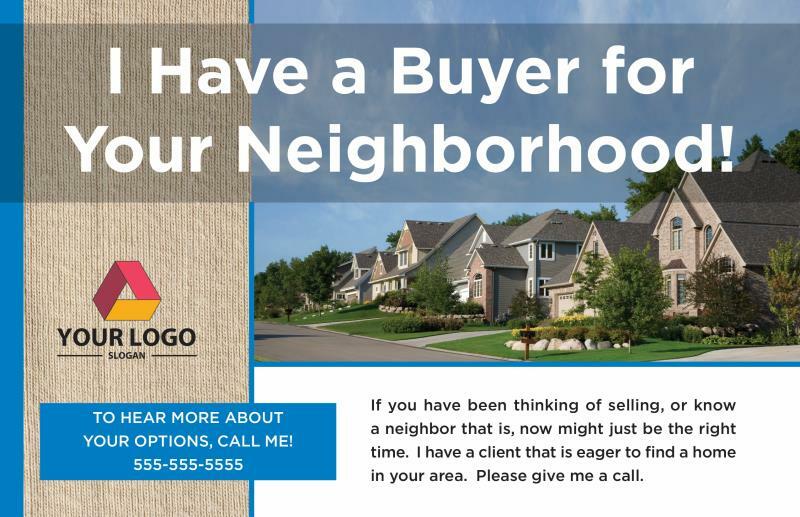 People frequently tell me they’ve received calls or post cards from agents about their house, stating they have someone looking for a house like theirs or that their house is special and they have someone who’d love to buy it. This kind of flattery generates emotional excitement because people are proud of their homes. I’m here to tell you that “I have a buyer for your home” is a sales script. I’ll explain its various levels of evil in this article. “I already have a buyer lined up,” says the Realtor. Let’s break this down. First, does s/he really have a buyer already lined up? There are only two possibilities – either they do or they don’t. Let’s say they DO have a buyer for your house. If this is true, why do they need to list and market the home? Rather than paying them 5% to list it and presumably sell it immediately to this buyer, why not represent yourself? Don’t bother going through the listing process – ask them to simply bring you an offer. Agree to pay them 2.5% for bringing the buyer. Ask your real estate lawyer to review the contract for you. If this Realtor already has a buyer lined up, presumably the buyer is a client of the Realtor. This means the Realtor is working in the buyer’s best interest. If this was a court case, would you hire the other party’s lawyer to work for you too? Hire someone to represent you (a Realtor and/or your lawyer). If the Realtor says that the buyer is not his/her client but just a customer, you’ll have to question how well they’ve qualified this buyer and why they are willing to give them first dibs on your home. There are approximately 3,500 Realtors in Ottawa, all working for their buyer and seller clients. Why sell the property without properly marketing it to expose it to ALL potential buyers? Often in Ottawa there is competition and you sell for a much higher price than you would by simply selling to the first buyer who comes along without advertising it. You are giving this buyer (client of the agent or otherwise) the scoop. The winners in this scenario are the Realtor and the buyer. The buyer is thrilled – his agent helped him scoop your property before it hit the market! Is this really how you want to sell? 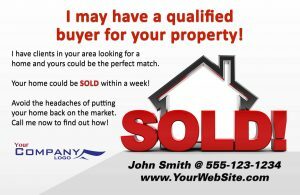 In the majority of cases you’ll find that the agent does not in fact have a qualified, motivated, perfectly match buyer lined up for your home. This line is simply a sales script used to secure a listing. You think it’s great the agent already has a buyer, so you list your property with this agent instead of interviewing for the job or hiring someone you trust based on recommendations. At most the agent shows the property to one “buyer” right away, but it turns out the buyer isn’t interested for one reasonable explanation or another. Now you’re moving forward and the Realtor seems nice enough and it’s too much work to back out so you keep going. But let’s tell it like it is: you’ve decided to work with a liar. There is an extension to this issue that has become a powerful marketing tool for some agents. Once you understand what I’ve outlined above, you realise it is ridiculous and should make you laugh. If you care about truth in advertising, it might also make you angry. Tune in to a local radio station and listen for a few hours. 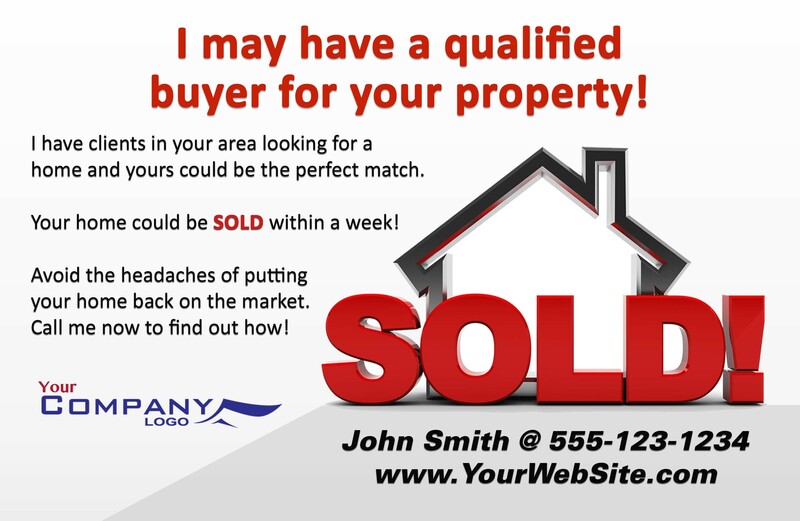 You are bound to hear one of several Realtors in Ottawa advertising they have hundreds of “now” buyers (“we have over 723 buyers”) ready to buy your home if you list with the Realtor. One such ad that I heard recently stated that the agent has more than 8,000 active buyers ready to purchase. There are about 3,500 Realtors in Ottawa. These Realtors will jointly manage a little over 15,000 purchase and sale transactions this year. Do you think this one Realtor is working with 8,000 buyers today when 15,000 total buyers will purchase a home through 3,500 Realtors all year? 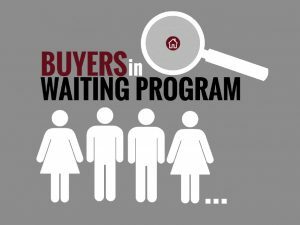 If a Realtor or brokerage has “buyers in waiting”, their job and legal obligation is to bring every candidate property to their clients’ attention. And have no fear, agents who use sales tactics like the “I have a buyer” line are motivated to make sales happen. When you properly prepare, list, and market your property, they will definitely bring their buyers (assuming they have some) to see your home. Why wouldn’t they? You don’t really think they will hide your home from their ready-to-buy clients if they have the possibility of making a sale, do you? The last thing you want is for that Realtor to also represent you – let them stick to their job working for their buyer client. Let your agent market your property to all Realtors, bring you the maximum number of potential buyers, and net the best results. In selecting a Realtor to represent you in marketing and selling your property, it is important to talk to a few and ask some pressing questions about their approach. The real estate industry was for many decades a purely sales business and the majority of agents still behave as though we are living in the 1970’s. This can be either deliberately from experience, or inadvertently by example and training. Agent education after licensing largely still focuses on “scripts” to “convert” prospects into sales. Agents are taught to say things that evoke an emotional response to convince the person to sign a contract. There is a rising tide of greater professionalism, but you may need to speak with a few agents to find one who works solely in your best interest as a client. There are many districts in the U.S.A. (I don’t believe there are any in Canada that have gone this far yet, while B.C.’s recent regulation comes close) whose laws specify that real estate brokerages must register to represent either buyers or sellers exclusively. That’s right – in those jurisdictions, as a consumer, you cannot hire an agent to help you sell your property based on how many buyers they are currently working with, because they are all working with zero buyers. All of the buyers are represented by brokerages working exclusively with buyers. Amazingly, they have no trouble selling homes in these places. And they never have problems with conflict of interest. We’d love to hear what you think. Does our position make sense to you? We tend to zig when other agents zag. Would you like to see even tougher regulations to prevent Realtors from confusing the public about how our services work? Drop us a line or a question in the comments section below. We’ll do our best to reply to as many as possible.